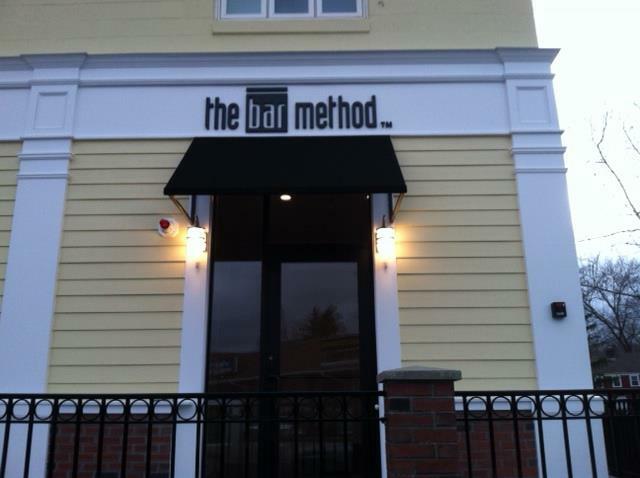 The Bar Method Hingham is a boutique fitness studio offering barre classes for students of all levels. The signature method uses your own body weight, the ballet barre and a few props to create a transformative workout that results in long, lean sculpted muscles. Not only does it reshape your entire body, but it allows you to channel your inner strength and leave class feeling strong, confident and poised. Highly-trained instructors customize the exercises to ensure they are safe and effective for any age and every body, including modifications for pregnant women and students with injuries. Our staff and community are here to support you from the moment you walk through the door. At Bar Method Hingham, we believe fitness can be fun and inspiring! We are located in Hingham Square just across from CVS. We offer childcare and encourage you to bring your littles for a fun visit to the bar as well! We have locking lockers and a changing room. The only thing you need to bring to class is your socks! And, of course, yourself! McKenzie Howarth walked into her first Bar Method class in 2006 and, at first, only attended class once or twice a month. One lucky day a friend suggested taking class 3-4 days per week of exclusively Bar Method for one month. From there, the rest is history. Once McKenzie started seeing the changes in her body and how she felt, she was shocked and stunned. It was so transformative for her body and her life. Through a winding path between California, New York and Boston…and with 10 years of a finance career under her belt, McKenzie took the ultimate plunge and The Bar Method Boston was born in 2011. The best part of her job has always and will always be the same moment that happens all the time. As she puts it, “When I look around and realize how important our studio is to clients and staff members. What's better than that?!" When not at the studio, McKenzie loves being with her 2 kids and husband. Sarah Kuzniar has been teaching The Bar Method since she opened her first studio in Boston in 2011. Prior to being introduced to The Bar Method by her business partner, McKenzie, Sarah was a swimmer and reluctant runner. Sarah loves the organization and discipline of The Bar Method as well as the results she gets from the effective, full body workout. When she's not at the studio you'll find her eating ice cream with her husband and two daughters.